At AWS, our customers have always been the motivation for our innovation. In turn, we’re committed to helping them accelerate the pace of their own innovation. It was in the spirit of helping our customers achieve their objectives faster that we launched AWS Lambda in 2014, eliminating the burden of server management and enabling AWS developers to focus on business logic instead of the challenges of provisioning and managing infrastructure. In the years since, our customers have built amazing things using Lambda and other serverless offerings, such as Amazon API Gateway, Amazon Cognito, and Amazon DynamoDB. Together, these services make it easy to build entire applications without the need to provision, manage, monitor, or patch servers. By removing much of the operational drudgery of infrastructure management, we’ve helped our customers become more agile and achieve faster time-to-market for their applications and services. By eliminating cold servers and cold containers with request-based pricing, we’ve also eliminated the high cost of idle capacity and helped our customers achieve dramatically higher utilization and better economics. After we launched Lambda, though, we quickly learned an important lesson: A single Lambda function rarely exists in isolation. Rather, many functions are part of serverless applications that collectively deliver customer value. Whether it’s the combination of event sources and event handlers, as serverless web apps that combine APIs with functions for dynamic content with static content repositories, or collections of functions that together provide a microservice architecture, our customers were building and delivering serverless architectures for every conceivable problem. 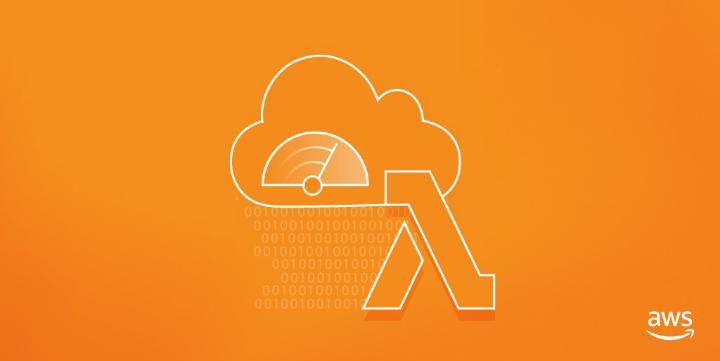 Despite the economic and agility benefits that hundreds of thousands of AWS customers were enjoying with Lambda, we realized there was still more we could do. We heard from our customers that getting started—either from scratch or when augmenting their implementation with new techniques or technologies—remained a challenge. When we looked for serverless assets to share, we found stellar examples built by serverless pioneers that represented a multitude of solutions across industries. There were apps to facilitate monitoring and logging, to process image and audio files, to create Alexa skills, and to integrate with notification and location services. These apps ranged from “getting started” examples to complete, ready-to-run assets. What was missing, however, was a unified place for customers to discover this diversity of serverless applications and a step-by-step interface to help them configure and deploy them. We also heard from customers and partners that building their own ecosystems—ecosystems increasingly composed of functions, APIs, and serverless applications—remained a challenge. They wanted a simple way to share samples, create extensibility, and grow consumer relationships on top of serverless approaches. We built the AWS Serverless Application Repository to help solve both of these challenges by offering publishers and consumers of serverless apps a simple, fast, and effective way to share applications and grow user communities around them. Now, developers can easily learn how to apply serverless approaches to their implementation and business challenges by discovering, customizing, and deploying serverless applications directly from the Serverless Application Repository. They can also find libraries, components, patterns, and best practices that augment their existing knowledge, helping them bring services and applications to market faster than ever before. Companies that want to create ecosystems, share samples, deliver extensibility and customization options, and complement their existing SaaS services use the Serverless Application Repository as a distribution channel, producing apps that can be easily discovered and consumed by their customers. AWS partners like HERE have introduced their location and transit services to thousands of companies and developers. Partners like Datadog, Splunk, and TensorIoT have showcased monitoring, logging, and IoT applications to the serverless community. Individual developers are also publishing serverless applications that push the boundaries of innovation—some have published applications that leverage machine learning to predict the quality of wine while others have published applications that monitor crypto-currencies, instantly build beautiful image galleries, or create fast and simple surveys. All of these publishers are using serverless apps, and the Serverless Application Repository, as the easiest way to share what they’ve built. Best of all, their customers and fellow community members can find and deploy these applications with just a few clicks in the Lambda console. Apps in the Serverless Application Repository are free of charge, making it easy to explore new solutions or learn new technologies. Finally, we at AWS continue to publish apps for the community to use. From apps that leverage Amazon Cognito to sync user data across applications to our latest collection of serverless apps that enable users to quickly execute common financial calculations, we’re constantly looking for opportunities to contribute to community growth and innovation. At AWS, we’re more excited than ever by the growing adoption of serverless architectures and the innovation that services like AWS Lambda make possible. Helping our customers create and deliver new ideas drives us to keep inventing ways to make building and sharing serverless apps even easier. As the number of applications in the Serverless Application Repository grows, so too will the innovation that it fuels for both the owners and the consumers of those apps. With the general availability of the Serverless Application Repository, our customers become more than the engine of our innovation—they become the engine of innovation for one another. To browse, discover, deploy, and publish serverless apps in minutes, visit the Serverless Application Repository. Go serverless—and go innovate! Dr. Tim Wagner is the General Manager of AWS Lambda and Amazon API Gateway.